This breathtaking 9 Light Chandelier with Chrome Finish is a beautiful piece from our Secca Collection. With its sophisticated beauty and stunning details, it is sure to add the perfect touch to your decor. 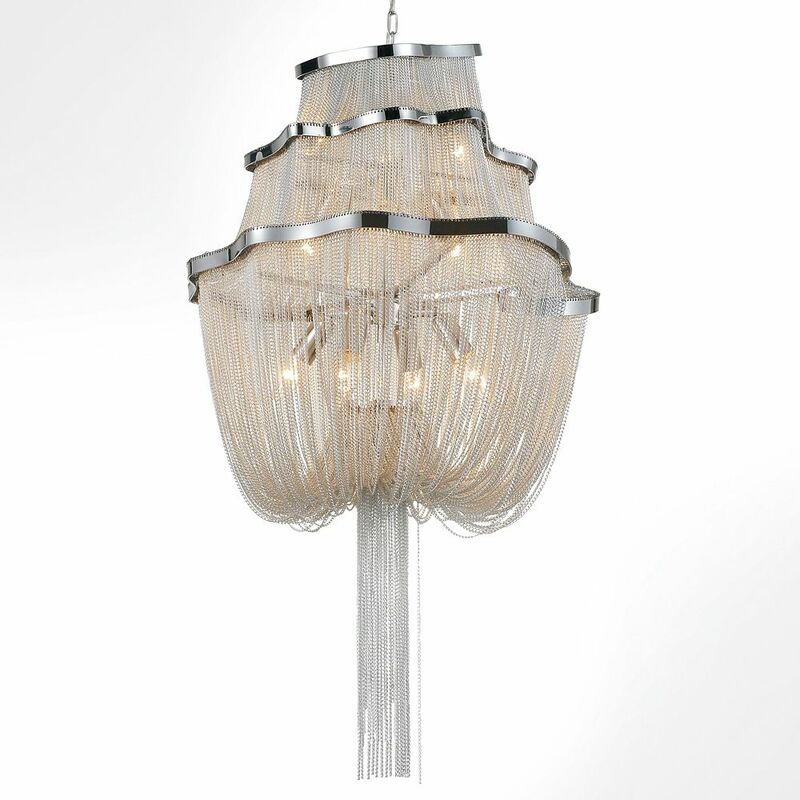 This breathtaking 48 Light Chandelier with Chrome Finish is a beautiful piece from our Cherry Blossom Collection. With its sophisticated beauty and stunning details, it is sure to add the perfect touch to your dicor. This breathtaking 18 Light Chandelier with Oil Rubbed Brown Finish is a beautiful piece from our Danielle Collection. With its sophisticated beauty and stunning details, it is sure to add the perfect touch to your dicor. This breathtaking 6 Light Chandelier with Chocolate Finish is a beautiful piece from our Dulce Collection. With its sophisticated beauty and stunning details, it is sure to add the perfect touch to your dicor. This breathtaking 8 Light Chandelier with Black Finish is a beautiful piece from our Gloria Collection. With its sophisticated beauty and stunning details, it is sure to add the perfect touch to your dicor. Secca 20-inch 9 Light Chandelier with Chrome Finish This breathtaking 9 Light Chandelier with Chrome Finish is a beautiful piece from our Secca Collection. With its sophisticated beauty and stunning details, it is sure to add the perfect touch to your decor.